I like getting iced and lattes and mochas from Starbucks. Add a $0.60 milk substitute and we are looking at anywhere from $4.25 to $5.95. If I get one every day that’s $127.50 a month!! It pains me to even write that. And that is the cheaper drink estimate. Ouch. 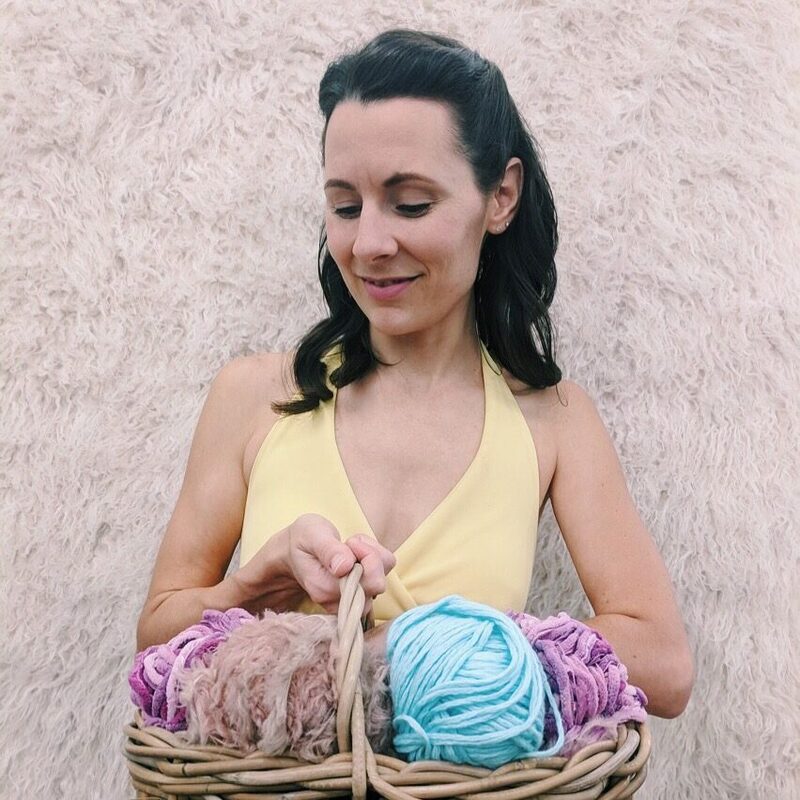 So I am saving myself some serious cash because I learned how to make it at home and here’s how you can too! First off, you need to get one of these bad boys. 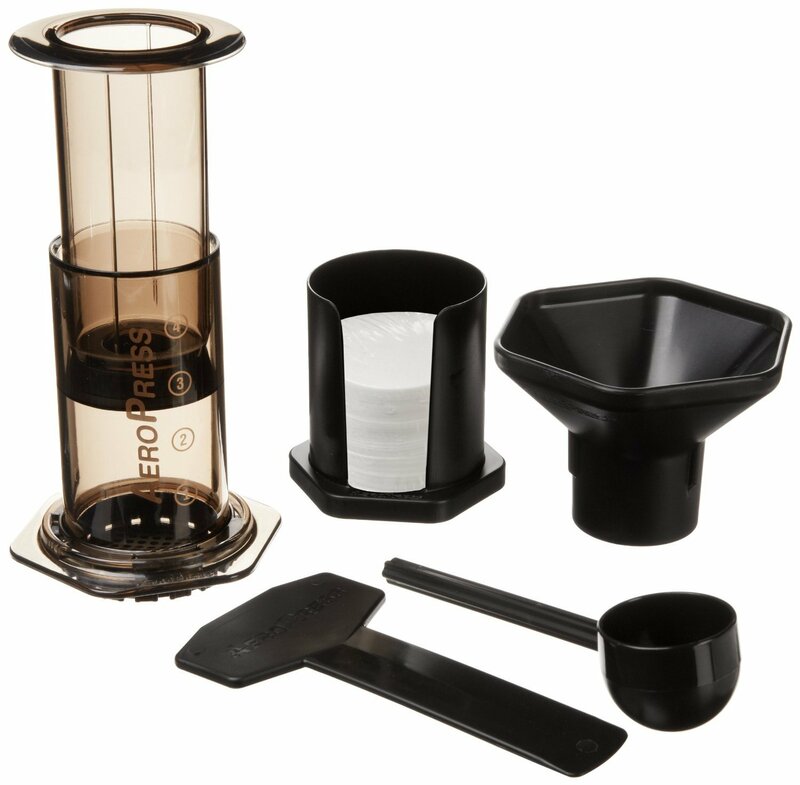 This Aeropress pulls (or should I say pushes?) some of the most amazing espresso shots! No need to get those fancy smancy espresso machines. It looks really intimidating but it is super easy to use. I thought using it would take a long time because I thought it was like a french press. But you can pull a shot faster than you can say “Bob’s your uncle”. Go ahead and snag yourself one of these. I’ll be sipping on my iced latte until you get back. The pretty purple Coca-Cola glass were my grandmother’s. She loved purple like I do so her set was given to me after she passed away. The makings of a great coffee starts with good coffee beans. You lose a lot of the flavor with you buy coffee grounds. It is best to start with whole coffee beans then grind them daily for the best results. When you grind your coffee beans for the Aeropress, grind them very fine so that the water pulls a lot of flavor out the coffee. Add your sweetener to your glass first then add ice to completely fill the cup. Next, grab your Aeropress and place a filter in the black cap that has the holes in it. Screw it onto the bottom of the chamber. Fill the chamber with a heaping scoop finely ground coffee beans and the place the chamber on your coffee cup. When adding the water, you want the temperature to be between 175 and 180. If you have a teapot or kettle this is a little after your water gets to a complete rolling boil. Or you can get an electric kettle that has specific temperature settings to do the hard work for you. Depending on how strong you want your shot to be will depend on how many scoops of coffee grounds you add to the Aeropress and the amount of water you use. For mine, I added 2 scoop and filled the chamber with hot water to the 1 dot so the shot would be really strong. Stir the wet grounds with the stir stick so that the grounds are completely wet then add the plunger to the chamber. Push the plunger down gently for about 20 to 60 seconds. You don’t want to press too fast because you want the flavor to be rich and strong. That and you don’t want the Aeropress to slip and you scald yourself with hot water. After you have pulled your shot just unscrew the bottom and push the coffee grounds out into the garbage can. So much easier to clean than a french press! You can also reuse your coffee grounds and make this body sugar scrub or you can add the coffee grounds to your garden to balance the pH. There are so many uses for coffee grounds! Add the shot to your glass. I have heard some people say that pouring the shot over ice will make the coffee watery but I didn’t find this to be the case. There is so much ice in the glass that it cooled off the coffee quick enough so it didn’t melt the ice. Besides, then you wouldn’t get these really pretty milk swirls in your coffee! There you have it! A beautiful, creamy homemade iced latte. Cheers! Like DIY projects and coffee? Be sure to check out this hanging coffee cup holder! Which are you? The make-your-own-at-home type or the let-someone-else-do-it type? This post contains affiliate links. Thank you for supporting my blogging endeavour and keeping my blog ad free!